Whether traditional or contemporary, softwood or hardwood, our extensive experience lies in the creation and fitting of impressive and attractive external and internal joinery. This month our focus is on doors, as our doors are flung wide open to keep our buildings cool, ready to be shut in the autumn to maintain heat and warmth. Ancient Egypt is home to the most ancient doors. They were simple mainly just a slab of wood with hinges. There was also the wide use of a false door, which is a door that leads to nowhere. In ancient Egypt these doors were known as the doors to the afterlife. The oldest door in England is made of oak and is located in Westminster Abbey. It is over 900 years old and was put in place during the reign of Edward the Confessor (1042-1066). It is made from one tree, and is six and a half feet high and four feet wide. 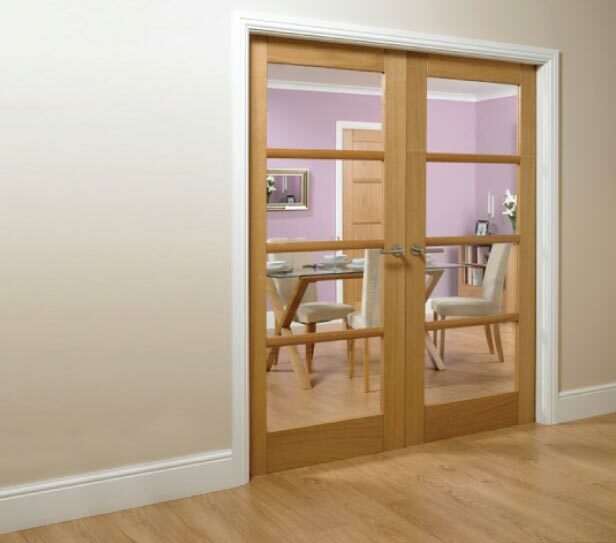 The most common type of door is the single-leaf door, which consists of a single rigid panel that fills the doorway. Variations on this design include the double-leaf door or double door and French windows. Europe’s oldest door is currently logged as in Zurich. It is around 5,100 years old. The largest doors in the world are supposedly at the entrance to NASA’s Vehicle Assembly Building at the Kennedy Space Center. They measure 456 ft and take around three quarters of an hour to open or close. Find out more about our external joinery work here . How interesting! I had no idea there was a door over 5000 years old! The Timberworks Bespoke Joinery family business is based on experience in joinery and a commitment to handcrafted quality.